Almost every new client comes to me with the desire to lose fat – for a variety of reasons. 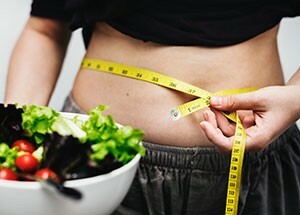 The most prevailing reason is that they want to look more fit and attractive as a result of the fat loss. Maybe losing fat in order to look better is a strong enough motivator for you, but most people need something more compelling. Our experience with helping our clients achieve their fat loss goals has really opened our eyes to exactly what they gain when they lose the extra weight. We hope that by reading the 5 Big Benefits of Fat Loss below, you’ll feel the driving motivation that you need to jump into fitness with both feet, and that you’ll find out just how amazing and capable you’ve been to achieve your goal all along.